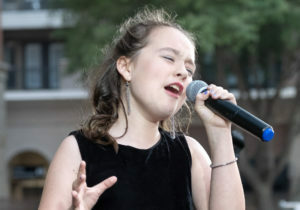 Sugar Land’s Jr. American Idol-like competition is kicking off another summer by showcasing local talent with open auditions! Contestants must be between 9-13 years of age and residents of Fort Bend County to be eligible for competition. All participants should be prepared to sing for 60 to 90 seconds without musical accompaniment and auditions will take place in the lobby of 2277 Plaza Drive. JR Superstar Entry Form 2019 and Jr. SL Superstar Rules 2019. You are not required to register in advance and we will have forms on site as well.